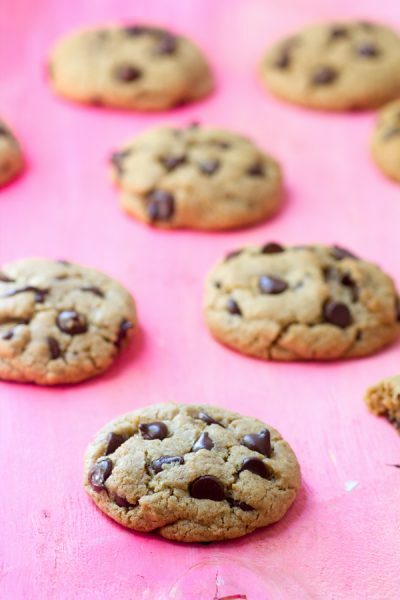 Small Batch Tahini Chocolate Chip Cookies from Sweet & Simple make just 12 cookies! But you’ll want more. 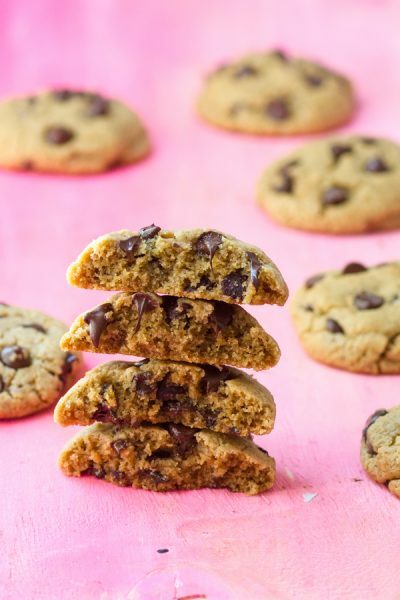 So I was totally going to give you a new cheesecake recipe for Shavuot (because Shavuot = cheesecake) but I made these Tahini Chocolate Chip Cookies instead and had to share them with you! They are wonderfully buttery, so that counts as your traditional dairy right? I’m going to go with right. 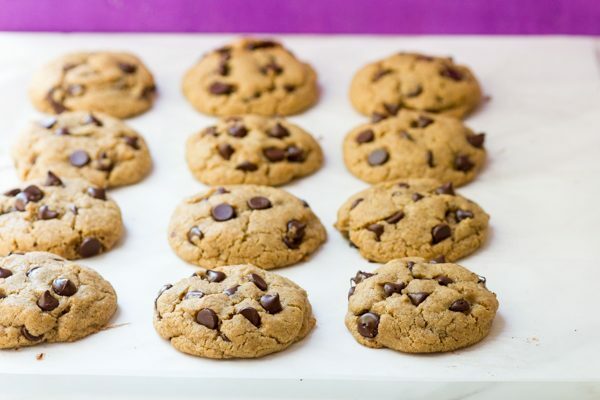 Unlike cheesecake, these cookies can be made in less than 30 minutes, from grabbing the ingredients to eating a cookie. Can’t beat that. But I can’t take the credit for the recipe. 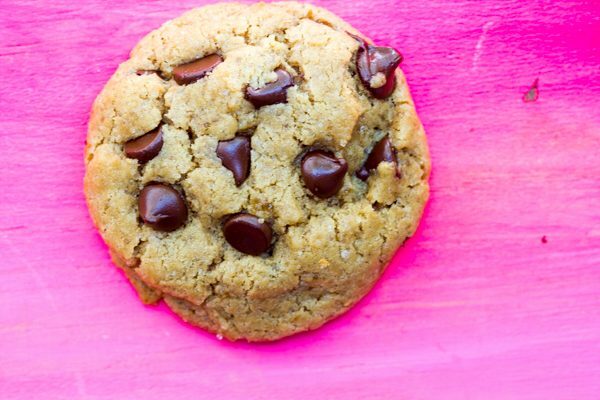 It comes from Christina’s latest cookbook, Sweet & Simple! 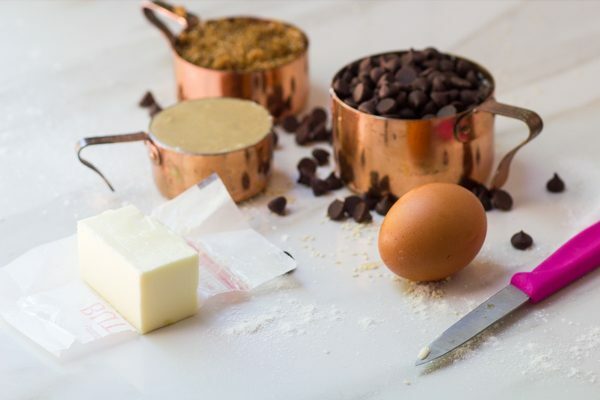 Christina specializes in small-batch desserts (and savory food too!) and has written THREE books on the subject in two years. Is she superwoman? Perhaps. 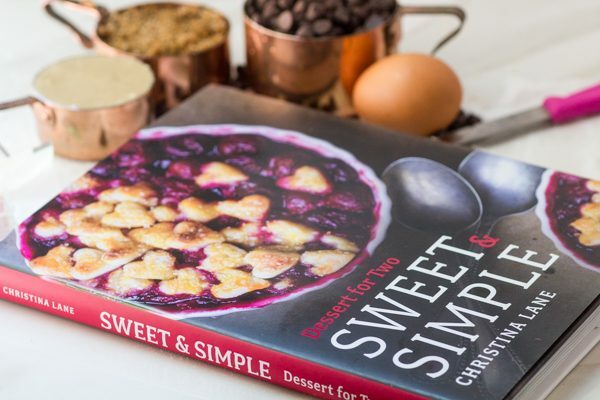 There are SO many tempting recipes in Sweet & Simple. 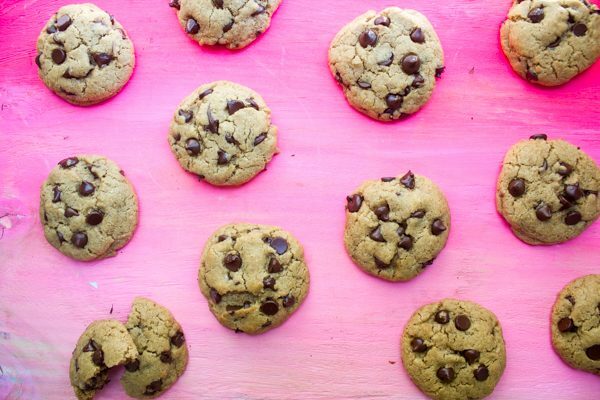 And because they make small batches, you can definitely make them all. Beer Brownies, Strawberry Handpies, and Peanut Butter Chocolate Chip Cookies! But I couldn’t just leave the recipe for Peanut Butter Chocolate Chip Cookies alone. 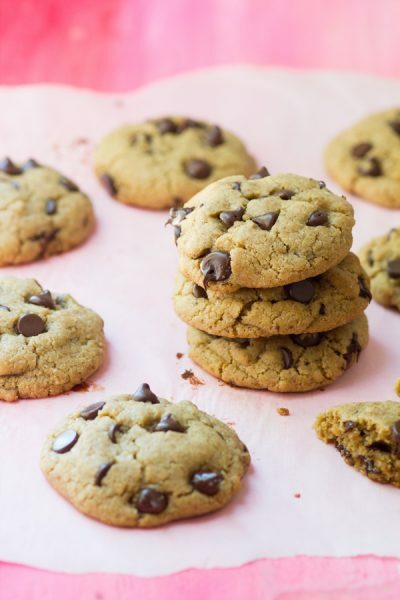 I swapped out the peanut butter for tahini paste and OMG were these addicting! 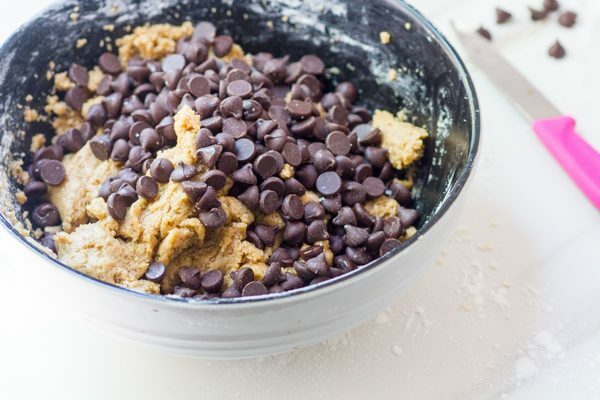 I love that this recipe has a ton of chocolate chips. And all brown sugar gives them a rich molasses flavor. 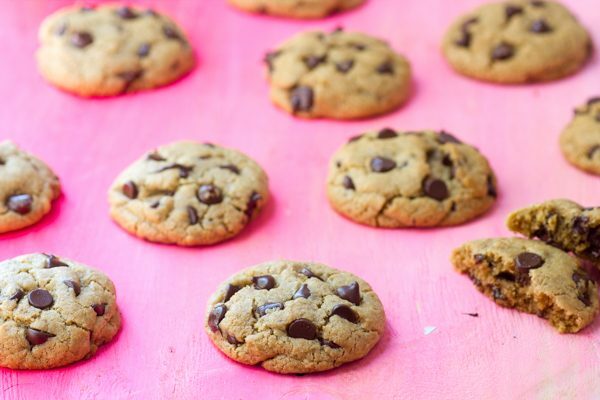 Tip: stick a few chocolate chips on the top of each cookie to make sure they look as good as they taste! And trust me, they taste amazing. 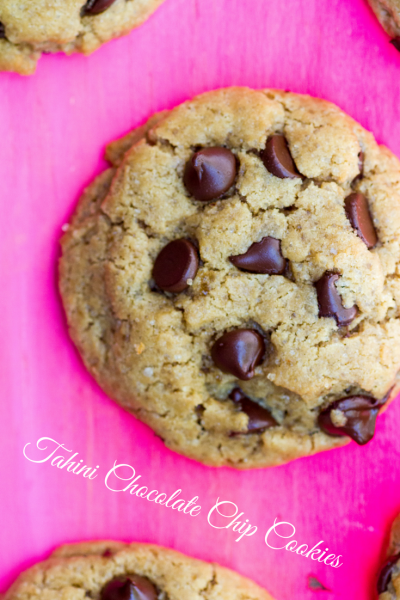 Small Batch Tahini Chocolate Chip Cookies! Preheat the oven to 350 degrees and line a baking sheet with a silicone mat or parchment paper. 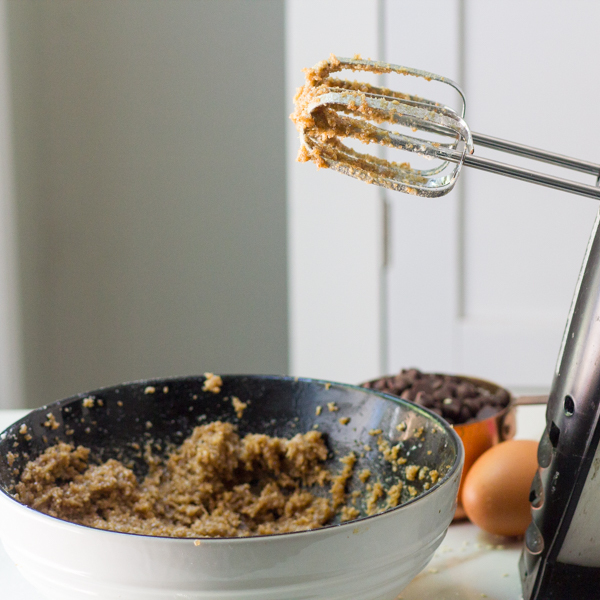 In a medium-size bowl, beat together the butter, tahini, and brown sugar with an electric mixer on medium speed. Beat until thoroughly blended and lightly fluffy, about 40 seconds. Sprinkle the flour, baking powder, baking soda, and salt evenly over the the dough. Finally, stir in the chocolate chips. Press the dough flat in the bowl and roughly divide it in quarters by eye (you can also lightly score it with a knife). Make three dough balls out of each quarter of dough (for a total of 12 cookies). Roll the dough balls lightly in your hands and then place them on the baking sheet, evenly spaced. Bake for about 11 minutes. The edges will start to brown, but the centers will still appear soft. 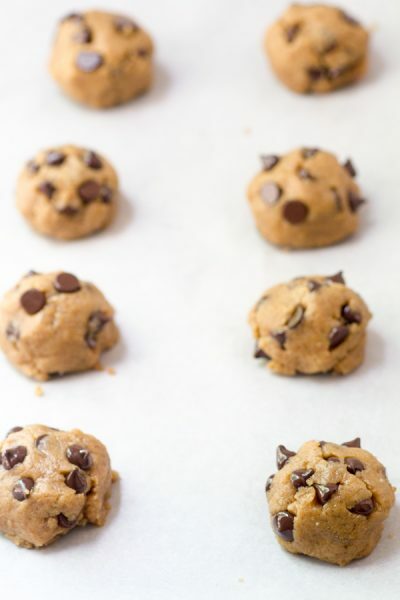 Let the cookies cool on the baking sheet for 1 minute before moving them to a wire rack to cool completely. I make plain Tahini cookies & everyone loves them. I can’t wait to try this recipe. Wonder if I could also make it with cashew or almond butter? Yes I imagine that would work since the original recipe called for peanut butter! What a great idea to substitute a different kind of butter for peanut butter! I love tahini, but I can’t imagine it with chocolate. I will take your word for it that it’s good. I may try it even. Since it’s a small batch. Trust me, they are amazing!! 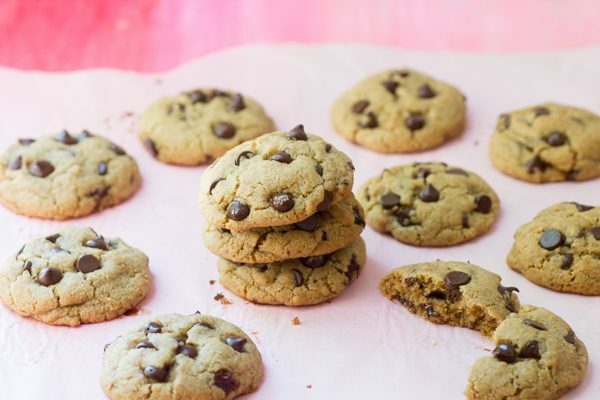 Tahini Chocolate chip cookies cookies are great. They are not to far off from the recipe I use quite often, but with a nice enough change to break up my morning tradition of coffee and cookies. Thanks. Great! Yes the brown sugar in these really make them special I think! Oh no! Did they spread a lot? Maybe if it’s hot in your kitchen! You could try chilling the dough overnight next time before forming and baking. I’m sure they will taste awesome!